Last shot at redemption for Amir Khan? 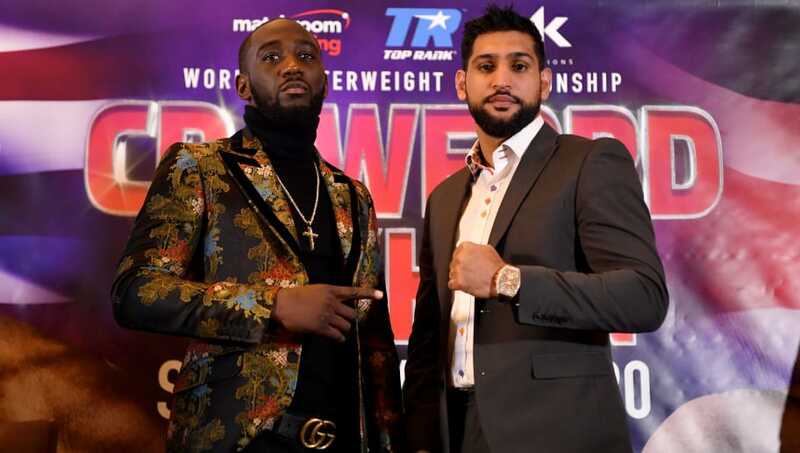 The worst kept secret in boxing was made official on Tuesday when it was announced that WBO welterweight champion Terence ‘Bud’ Crawford 34-0 (25) would defend his belt against former unified 140-pound champion Amir ‘King’ Khan 33-4 (20) in the United States on April 20 at a venue to be determined. The Top Rank promoted fight will be broadcast on ESPN pay-per-view. Former lightweight titleholder and undisputed junior welterweight champion Crawford defeated Jeff Horn for the WBO 147-pound title in his welterweight debut in June before defending the crown against Jose Benavidez Jr in October. The 31-year-old southpaw from Omaha, Nebraska sees Khan as another big scalp to help progress his career. “It’s always been my goal to fight the best fighters out there and I look at Amir Khan as one of the top fighters in my division,” said Crawford, 31. Khan, 32, knocked back a grudge match against domestic rival Kell Brook 38-2 (26) in favour of the Crawford bout, a decision he says he didn’t take lightly. “The decision as to fighting Kell Brook or Crawford has been one of the most difficult decisions of my career to date,” said Khan. “Clearly, the UK fans want to see Khan vs. Brook, but I could not turn down the opportunity to fight for the WBO title. That is not to say that the Brook fight won’t happen, as I want that fight to happen as soon as possible. Matchroom Sport’s boss Eddie Hearn, who promotes both Khan and Brook, said the opportunity to fight for a world championship against one of the best fighters in the world was too good for Khan to pass up. “There has been a lot of speculation regarding Amir’s next fight but the lure to trying to win another world title was too much to turn down and now he faces arguably the number one welterweight in the world in Terence Crawford,” said Hearn. Top Rank’s Bob Arum praised the matchup as an entertaining and competitive fight between two elite boxers. “The Crawford-Khan showdown is a very interesting matchup of two elite fighters. Khan, when fighting at welterweight, is as good as there is, but he is fighting the division’s best fighter and a pound-for-pound great,” he said.